This page contains exclusive Chocolates which are not mass product but Home made thus each of them are unique and comes in limited quantity and are rare to find elsewhere which makes them extra special. Prepared using finest quality Cocoa Powder and cocoa Butter with sugar tempered to perfection, shaped in exotic moulds that takes the shape of Heart, Flower and many more. We at OrderYourChoice also take special request to customize Chocolates according to customer preference into never seen shapes which can surely suprise your beloved ones on any occasions. Ever wondered what makes homemade chocolates online so special? Well, it is OYC we not only provide you unique tasting homemade chocolates online but also the nostalgic memories of lost childhood evoked upon biting them we mean the homemade chocolates online. Unlike the commercial types, our homemade chocolates online are meta. hygienically prepared using the finest quality natural ingredients without any artificial flavors or preservatives. Hence our Homemade chocolates online stay fresh for long. Earlier there was time and energy to prepare homemade chocolates at home but today’s demanding modern lifestyles have kept even the cooking enthusiasts away from the cooking areas. 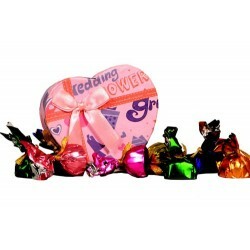 Fortunately, online stores like OrderYourChoice.com provides homemade chocolates online for those who are continuously striving hard to keep our taste buds stay alive by offering some of the finest handmade chocolates online. OYC has a wide variety of Homemade chocolates online including chocolate bars, slabs, sticks, balls, white chocolate, chocolate mousse and many more homemade chocolates to enjoy. 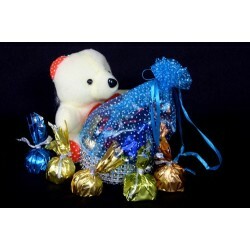 Buy homemade chocolates online at OYC to fulfill your sweet tooth. Remember the famous gold coin chocolates that were traded by children during play time or the heart shaped chocolate types that were used as a love proposing gift buy them buy homemade chocolates online at OYC to present your children. 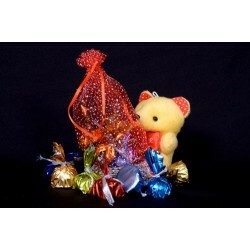 These homemade chocolates online can also be custom made as per your wish to any shapes as per preference. 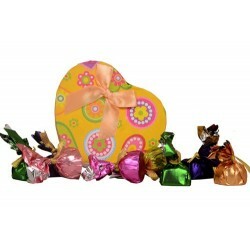 Choose to gift homemade chocolates sent it online alone or along with other interesting combos including cakes, greeting cards, toys and home décor items to grace the occasion and to make the receiver feel really special so buy homemade chocolates online. OYC maintains rapport with leadind custom chocolate vendors around India so why wait buy homemade chocolates online at OYC. The ordered items that is your homemade chocolates online are delivered to your loved ones no matter where they live in India and that too free of cost. You can not only save time and effort but also save a great deal as OYC offers discounts quite often so buy homemade chocolates online.